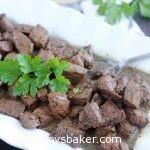 Delicious and flavorful, these Steak Bites are the perfect thing for a quick dinner. With simple pantry staples that you probably already have, the marinade comes together in no time at all. My third son just graduated from high school this week and is leaving on his LDS mission in 19 days. I swear Taylor just started Kindergarten yesterday. Wow, life is just soaring by waaaay too fast! I CANNOT have three high school graduates with a fourth only two years away. . . I think I’ll go drown my sorrows with some frozen cookie dough balls. Anyway, let’s talk about these steak bites. My sister told me about them and I see now why she was raving about them. They are seriously delicious! I’m telling you, these steak bites are a must-make and are about the easiest thing to throw together. They cook up in less than five minutes, but they do need to marinate so plan ahead and the longer they marinate the better. I served these with baked potatoes and a salad and honestly, it was one of the easiest, most delicious meals ever. Place marinade ingredients into a large ziplock baggie, stir or carefully shake bag to combine the marinade ingredients. Heat a large skillet over medium-high heat until it's very hot. 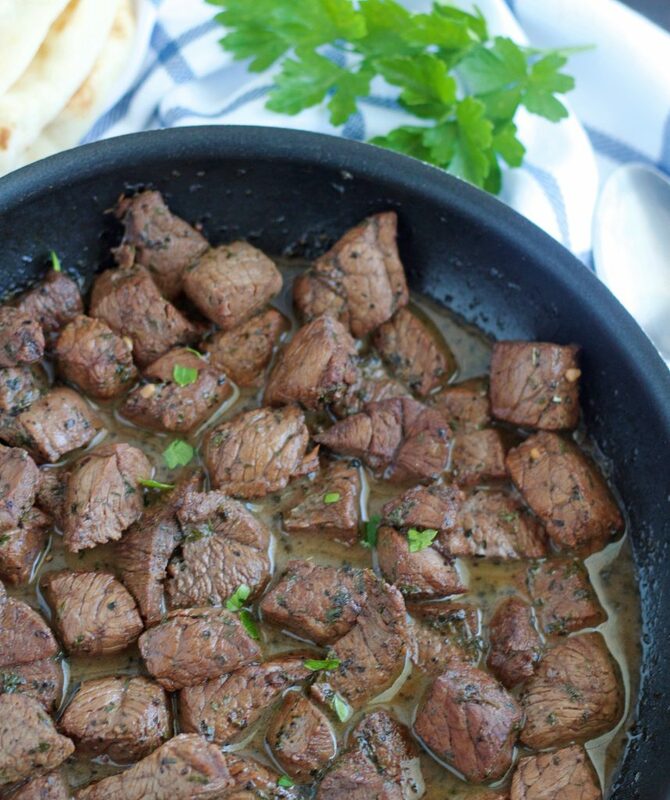 Remove steak pieces from marinade using a slotted spoon and place in hot skillet. Discard marinade. Cook steak 3 to 5 minutes or until cooked how you like it. 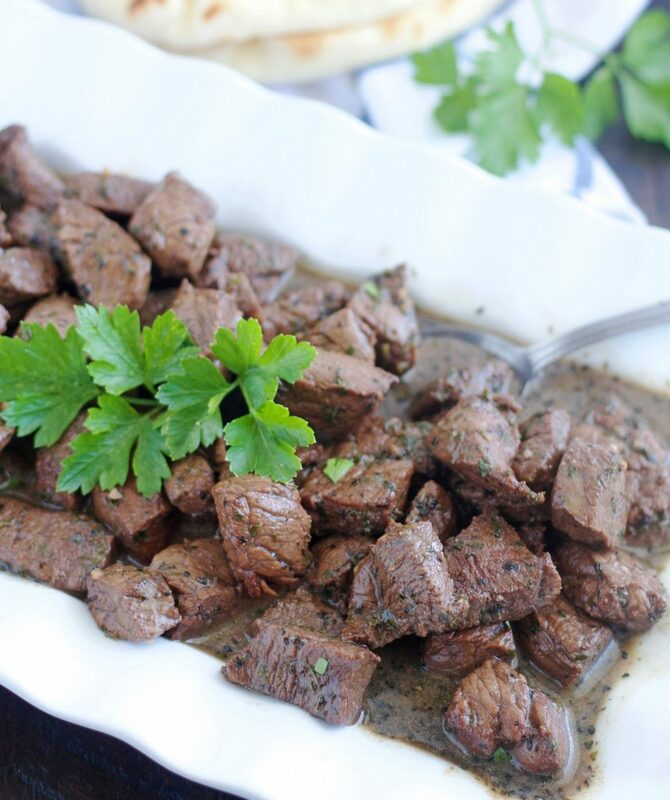 These quickly turned into one of our favorite ways to eat steak! YUM!